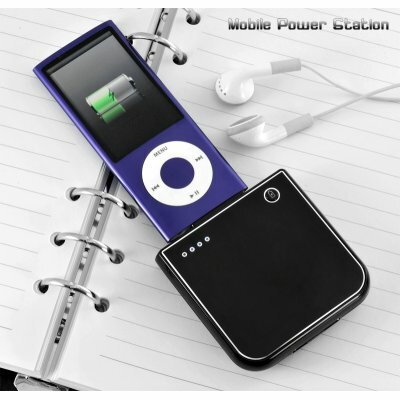 Successfully Added 1900mAh Portable Battery Charger for iPhone and iPod to your Shopping Cart. iPhone's are great, lets face it, but playing games, listening to music or going online using WiFi will drain your battery quicker that you can say blueberry pan-cakes. The solution is right here. This simple but powerful 1900mAh portable battery iPhone and iPod charger is the most convenient and easy way to charge your iPhone or iPod on the go. Like so many others in the world, you've probably experienced frustration at times when you're iPhone or iPod starts running low on power, especially below that red 20% indicator that shows up, and your miles away from home. The S17 comes in a compact form factor just half the actual size of an iPhone, and can provide you with 2 full charges. You can even charge this portable iPhone and iPod battery charger while your iPhone or iPod is connected to it, essentially, hitting 2 birds with one stone. Perfect! How can I buy one? Simple, the S17 iPhone & iPod portable battery charger is in stock and available at a factory direct wholesale price. Not only does this cool iPhone and iPod accessory save you from getting frustrated, it can also turn you a handsome profit by reselling this awesome gadget on your internet store or eBay online shop. Click "Add to Cart" now and we'll express ship you a sample to see for yourself how incredible this life saver truly is. The CVPP-S17 is available from your number one source of factory direct wholesale electronics, Chinavasion. Note: This great new product is factory direct low china wholesale price and we'll even dropship it to your customer..